Ok so I said I would be writing more podcast recommendations so here I am. Since writing the last post I’ve actually found 2 new podcasts already! I told you, I devour them as fast as I can and move on to the next one! So based on that behavior I reckon I’ll be writing these posts for quite a while. If you haven’t read my first post you can find it here. 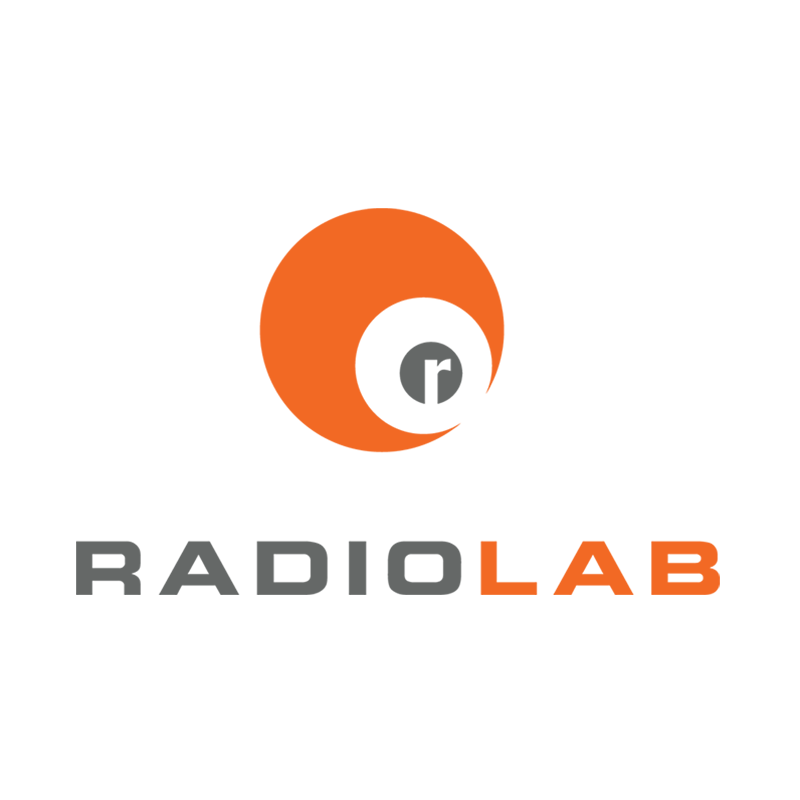 So in this post I will be giving my reviews of the following 5 podcasts; The Because Show, Reply All, This American Life, The Mortified Podcast, and Radiolab. 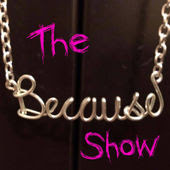 The Because Show. This is actually the very first podcast I ever listened to. This one was recommended to me by the friend I mentioned in Part 1 that bugged and bugged me and I finally gave into the peer pressure. When I first started listening there were 3 women who would get together and chat about things going on in their lives; their kids, their jobs, and their pasts. It was pretty good then but as time went on it seemed that 2 of them (Susan & Amy) were very natural and that one (Jerilyn) was really trying to structure the show and in turn made it somewhat awkward and it often felt forced. In December of 2014 Jerilyn sprung it on the others that she was done with the podcast. She just wasn’t having fun with it anymore and the girls understood. We all thought that was the end of it but then Susan & Amy pulled it together and kept the show going. I personally would say that the show is better than ever. Although it is inconsistent as far as when new episodes are released I am always excited to hear what the ladies have to say this time! They are frank, funny and you never know what direction they are going to head in. So these episodes are unpredictable both on release dates and length but totally worth the wait. Reply All. This was a fairly recent find for me in the Top Rated list on ITunes. But as always I flew through them … Though this one’s only been around about a year and they are a bit on the short side so these actually went faster than usual. So this show typically has 2 hosts; PJ Vogt & Alex Goldman. They live in New York and are part of Gimlet Media. 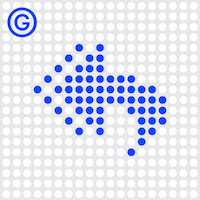 Check out the podcast Start Up to get the backstory on the birth of Gimlet. I am starting the binge on this one this week. As you may be able to guess by the title this podcast is kind of a tech show ... It basically dives into various mysteries on the internet. Don’t let the potential nerdiness turn you off. The stories dive deep into facets of the internet that you may not even know exist. I know for me personally I now have a much better understanding of domains and how there’s a whole scheming underground market trying to buy up useless domains and seek out the people who may want them – and jack up the price of course! They also have a segment (my favorite) called Yes Yes No. In that segment the 2 hosts sit down with their boss, also named Alex, and go over some mystery on the internet that he doesn’t understand. It starts with him reading or explaining it. And I’m telling you now – I never understand them either. Then the guys break it down and in the end everyone understands it. What I’ve learned most is that there is so much more to the internet than I could ever dream to encounter! These episodes average 30-45 minutes and are released weekly. 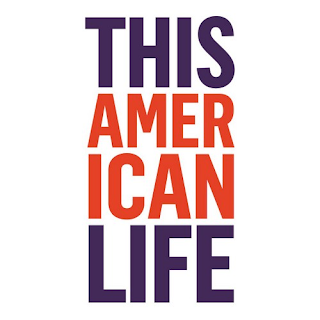 This American Life. I almost hate to review this one because it is so mainstream. 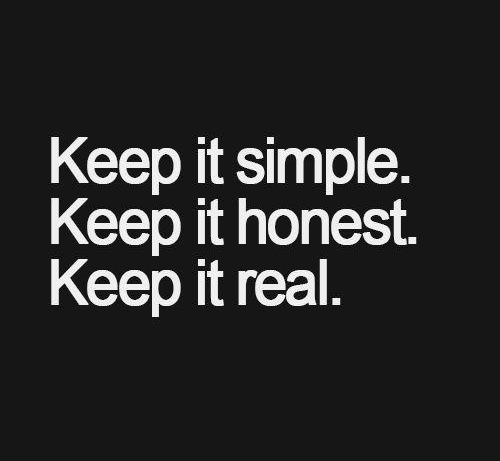 So I’ll keep it short. Basically if you are going to try podcasts you will try this one. This one always seems to be in the top 5 on ITunes. It is pretty good and I totally recommend it. Is it the best? I wouldn’t say that. However it’s totally worth listening to and I listen to it every week. Episodes are released weekly on Mondays and run roughly an hour. Episode Recommendations: The main thing with this one is that although all of the episodes are on their website they only keep a few in their feed on ITunes at any given time. So because of that I can’t scroll back to find recommendations for you & that also means I did not have an easy way to binge on all the past episodes. 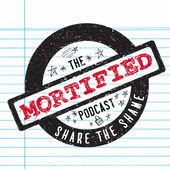 The Mortified Podcast. This one has had me laughing to tears on a few occasions. In this podcast people get up on stages all across the country and read from their teenage diaries. This is awesome for two reasons. First it brings me right back to all the crazy, mostly irrational thoughts I had growing up. And second it really gives me some perspective when talking to my 10 year old step daughter (which actually is a little scary!) In the end though this is one of the more entertaining podcasts and I’ve actually had to pause it to catch my breath. I found this one because it is in the same Radiotopia family as several other podcasts I listen to; 99% Invisible being one of them. These episodes are usually quick ones – running around the 20 minute mark and come out weekly. Radiolab. This one was a fun one to binge because every episode picks a topic and goes down a rabbit hole. There are two primary hosts; Jad and Robert. But they are always interviewing all kinds of people relevant to the topic at hand. A lot of their stories have a science basis to them as opposed to the usual history stories I am drawn to. 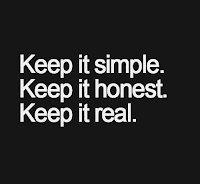 However these are told in such a way that I get wrapped up in them in the same way. Because this one has a lot of episodes with a wide range of topics it really is hard to describe. I believe I found this one in the top rated on ITunes and actually listened backwards (usually I go to the beginning and listen until I reach the current episodes but that doesn’t matter in this case.) These run around 45 minutes and are around bi-weekly. That wraps up this round of reviews. Be sure to check back again for the next post. I have quite a few podcasts I listen to so there will be plenty more!